Flower FormPinkish, 1 1/2-inch blossoms. FruitGolf ball size, or slightly larger golden fruit with rosy blush, pale cream flesh. Growth RateMedium growth rate (12 - 24 inches per year). PruningA well-structured trimming is necessary when the tree is young. Pruning conditions can be modified when it's two to three years old, to maintain new branching and growth of tips. Remember to remove the dead, diseased, and damaged foliage during any time of the year. Primary pruning is usually done during onset of early Spring. 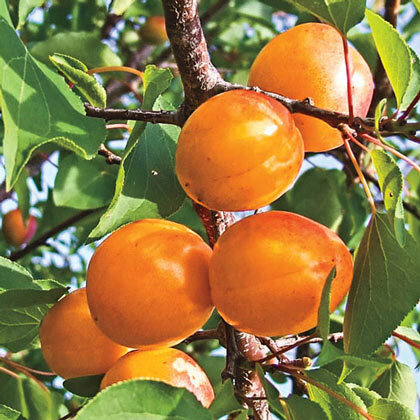 CommentsWe spent years looking for the best match to our favorite apricot, Sugar Pearls, so you can imagine our elation when we discovered this scrumptious variety was the perfect pollinator! 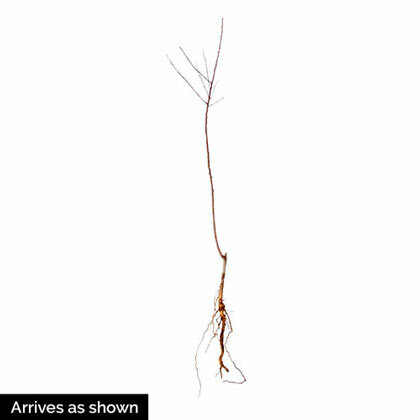 Sweetly aromatic, richly flavorful and juicy, this new nectacot has its own attributes. Very late bloom time avoids damaging late frost, leading to heavy yields of crack-free fruit. Delectable nectacots have ambrosial, deep orange flesh and red-blushed skin, ripening to perfection in July.